‘They’ say that there are three events that can cause the most amount of stress in a person’s life: death of a loved one, moving house, and changing jobs. Thank goodness that first one hasn’t happened, but the other two are upon me. For a while now, and for a number of reasons, we have been not entirely happy with where we live. Between an unreliable water supply, to a neighbour out to make our lives hell and a few other small things. And to add insult to injury, the council added the most uncomfortable speedbumps all the way along the road I have to drive in and out of (sometimes up to 6 times a day). 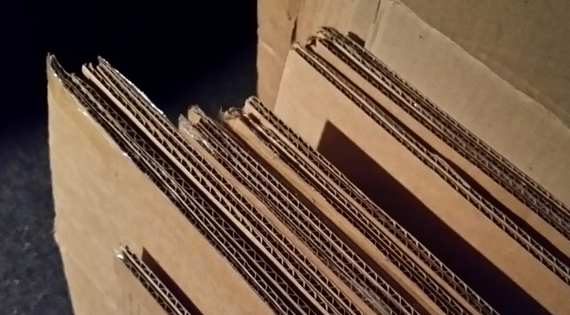 So, it was time to move. We had a general idea of where we wanted to move, and had been scouting properties since well before was necessary. But then on a visit to one of the lovely bookstores I see, the owner told me that the manager of her children’s bookshop was leaving to make a sea-change and could I keep my ear to the ground for someone who might be interested. Hmmm, I thought to myself, I might be interested in that. So we talked it over and I was offered the job. Then came the hard, and sad, part of telling my manager. It was a tough decision, because I have loved working for Walker Books for the past seven years. And I’ve done well here, winning ‘Victorian Sales Rep of the Year’ twice in a row. The Melbourne bookselling community is just delightful. But in the recent-while I have become very aware of how much time I spend in the car, driving. Now, I know it’s a necessity for the job of a sales rep, and the driving itself isn’t absolutely loathed (except when traffic is so bad you want to scream). It’s that I had begun to notice that all the time I spend driving was time that I could be spending doing something else. Even if it was work-related. I just couldn’t stand not being productive with so much of my day. With a swift change in property scouting, and an end-date fast approaching, we set all the wheels in motion and made all the lists of all the things that needed to happen to get from here to there. We were able to find a property in record time and had the lease a month before we pick up the keys. (Gone are the days when we were still property inspecting on the Thursday when our lease ended on the Saturday.) It’s a five-minute walk to work and we won’t have a car. I’ve effectively removed my daily travel from my life completely. I’m very excited by this prospect. So, as of the end of the month, I’ll be the manager at the gorgeous Younger Sun Bookshop in Yarraville. I can't wait to get back to bookselling, in its more books-in-the-hands-of-readers sense. I hope this change will allow me to be more productive: in what I can achieve in the store, in what I can achieve in my writing, and in what I can achieve in the literary community. 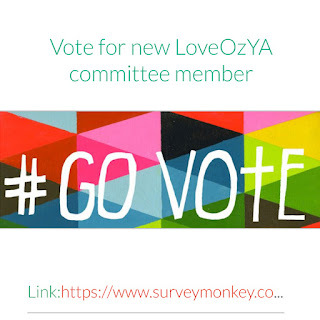 With that in mind, (among other ideas I need to pursue) I have put myself forward to be the new committee member for the #LoveOzYA campaign, because I’d love to be more involved in the wider community and put my experience and my passion to use. So, if you haven’t yet, I’d love you to vote for me for this committee. You can find the blurbs about all the nominees HERE or jump straight through to voting HERE. I genuinely feel I could contribute a lot. Voting closes on the 29th of July (the day after I start my new job). If you don’t know about this great initiative, then you should read about it HERE.